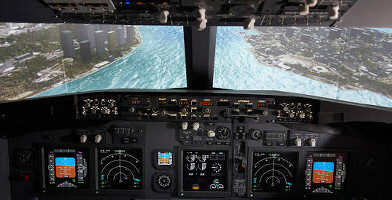 The perfect gift for aviation enthusiasts, this gift voucher for a Sydney jet flight simulator experience will allow them to get behind the emulated console of a Boeing 737 and try their hand at the skills of a true commercial airline pilot! The team at Jet Flight Simulator Sydney offer an amazing and truly unforgettable flight experience to suit the complete novice right up to highly experienced commercial pilots wishing to pass the Air Line Candidate Recruitment Assessment Check Flight. To date, their chief pilot has successfully mentored over 50 commercial pilots to pass their interview check flight on the first attempt. Choose from over 22,000 airports and multiple weather conditions - the flight simulation experience allows them to try whatever they want to try. If you know someone who's got an interest in the skies, then grab this gift voucher online today! 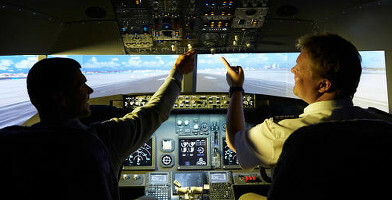 The 30-minute gift voucher for the Sydney jet flight simulator includes at least 1 take off and landing. Surprise someone today! The 60-minute gift voucher for the Sydney jet flight simulator includes two different flight locations from around the world. Buy it as a voucher here! The 90-minute gift voucher for the Sydney jet flight simulator includes multiple flight locations as well as covering the autopiloting systems.